The storage chaise. A perfect solution for small spaces. When space is at a premium in your home, it’s wonderful to find a stylish and chic piece of furniture that is so useful, wonderfully attractive and even gives you extra storage in your room. This comfortable seat will provide you with extra seating for guests, it’s the perfect item for a reading nook and it even makes a convenient spare bed for a child. It’s 63 inches long and I admit that I’ve snuggled up and had a nap on my chaise. But there’s an added bonus — a hidden storage compartment. 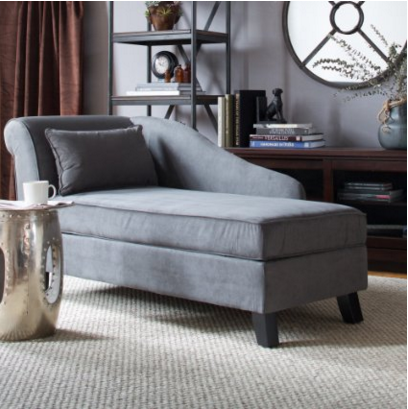 Lift the seat of the chaise to reveal its secret storage space. The compartment is the perfect place to keep a throw, your knitting or needlework, papers and magazine or the books that you currently have on the go. And it’s so easy to access the storage compartment. 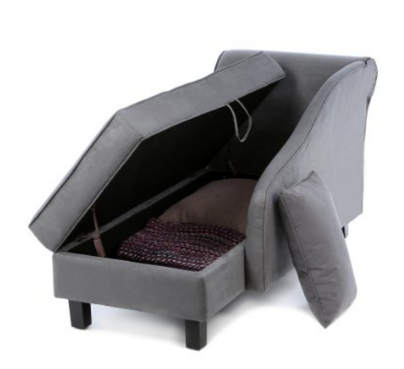 The chaise is solidly built with a hardwood frame and another bonus for this piece of furniture is its easy-to-care-for microfibre fabric.I don’t have pets but people who own this chaise who have cats or dogs report that it seems to repel animal hair. 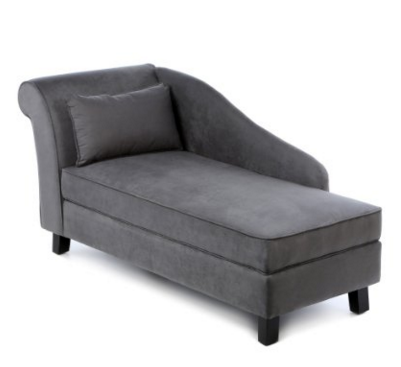 I was first drawn to this chaise simply because of it’s stylish appearance and graceful looks. It fits well into both modern and traditional décor and it’s not just for the lounge – if I had a larger bedroom, I’d love to have one of these at the foot of the bed. And although it’s solidly built it’s not too heavy to move from room to room if the need arises. All in all, it’s a fantastic buy for your home. See more examples here or below. 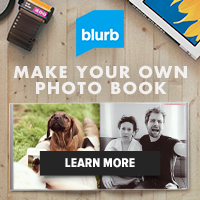 They are easy to order online and will be delivered to your door.